Rosary Cross Bracelet with Beading. Devotional Item. 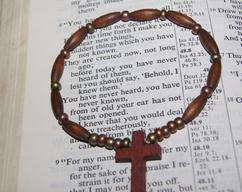 Devotional Beaded bracelet. Elastic Beaded Bracelet. 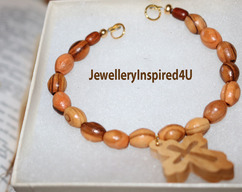 Olive Wood Cross Bracelet. Genuine Olive Wood Beaded Bracelet. Jerusalem Beads. Devotional Bracelet. 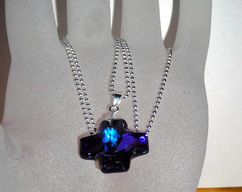 Swarovksi Heliotrope Cross Pendant. 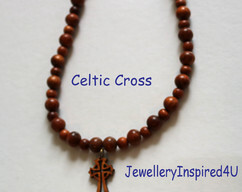 Gemstone Cross Pendant. Devotional pendant. Semi precious jewelry. ✫`Hello, my name is Vanessa pleased to meet you!!! Sparkle in my jewellery. Hypoallergenic, sterling, gemstones, pearls, earrings, bracelets, necklaces. We offer hand knitted items too for the young at heart. Personal hand written gift cards always available upon request at no charge!